A synthetic wax which is easily manipulated, perfect for eyebrow block and does not require a fixative as standard wax. Simply apply directly to the skin, blend edges with a little petrolium Jelly and apply any cream based makeup right over it. It stays flexible even after application with skin's movement. 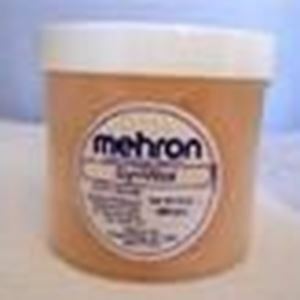 A soft, supple wax for smoothing the edges on prosthetic pieces, building up facial areas and blocking out eyebrows etc.